​Business executive, author and philanthropist. He is the former Chief executive officer of HCL Technologies, founder Sampark Foundation and author of a management book 'Employees First, Customers Second' . Vineet Nayar has been variously described as the “next Peter Drucker,” “Henry Foyel” and “Maverick CEO” . ​Vineet Nayar is the former Vice Chairman of $4.5 billion HCL Technologies and author of the highly acclaimed management book “Employees First, Customers Second”: Turning Conventional Management Upside Down”, has received rich praise from influencers like the late C.K. Prahalad, Tom Peters, Gary Hamel and Ram Charan and has sold over 100,000 copies worldwide. 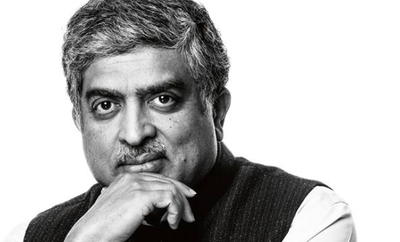 ​He is an acknowledged management visionary and a radical thinker who architected HCLT’s transformation that saw its revenues and market cap grow six fold. Fortune recognized HCL as “the world’s most modern management” while BusinessWeek named HCLT as “one of the world’s most influential companies”. .
Nayar joined HCL in 1985 after earning his MBA from XLRI. In 1993, he founded Comnet and helped it grow into a $1.4 billion dominant leader in technology management services. In 2005, Nayar became president of HCL Technologies and served as the company’s CEO from 2007 till January 2013. 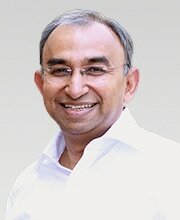 During these years he led a remarkable turnaround of the company which saw it revenues and market cap grow by six times along winning awards for the “Most Democratic workplace in the world”, “WorkforceManagement Optimas Award for HR Innovation in US”, “Britain’s Top Employers” ,”Best Employer in Asia” and many more. Today he serves as the company’s vice chairman. Nayar has served as governor of ICT, member of the Global Advisory Board of Women Leader's and Gender Parity Program as well as a community partner of the Forum of Young Global Leaders at the World Economic Forum. Nayar has also recently served as a “Mentor‟ (co-chair) of WEF’s 2011 Annual Meeting of New Champions Conference and currently serves on the Global Talent Competitiveness Index Advisory Board established by INSEAD and Human Capital Institute. In 2004, he established Sampark Foundation , which aims to transform the lives of children, youth, and adults through large scale programs in education, social entrepreneurship, livelihoods and climate. His work in this area over the last decade has seen Nayar being cited in Forbes magazine's prestigious '48 Heroes of Philanthropy List 2013'. He has also been honored with “Beacon of Hope” award by 2009 Asha for Education, NYC/NJ Chapter. Vineet Nayar uses this wealth of experience and unconventional thinking to inspire organizations and individuals for delivering high-performance. MANAGERS VS. LEADERS – HOW DO YOU MAKE THE TRANSITION? Everybody loves a leader. Everybody wants to be a leader. But only a few actually become one. Every day, thousands of executives and managers in corporate corridors across the globe struggle to make this transition, but very few succeed. While the aspiration quotient for leadership is very high, a practical road map for the journey is still virtually undefined. Having mentored many high-performance managers in his three decades of celebrated corporate career and having researched on the subject widely through his writings, Nayar has arrived at a structured transition approach to this dilemma. He has defined three key interventions that will provide directional indicators and checks to reinforce leadership behaviors before it is too late. A recent McKinsey study delved into the performance of companies over a 25-year period of time and reached two very interesting conclusions. First, almost 90% of the companies go through a crisis at one or the other point of time in their lives. Second, only 10% of them are able to recover their pre-crisis value. Sustainable recovery and turnaround, if this research is to be believed, is almost an art form, a cryptic formula that very few people seem to be able to crack. In this session based on his experience of transforming HCL Technologies (a $4.8 billion global IT Services company) to not only recover its pre-crisis value but rather increasing it by six times in both revenues and market cap, Nayar will provide insights which look at transformation or turnaround as a structured, multilayered process. The session will cover topics like understanding and facing catalysts of crisis, 4-tiered structure of transformation, role of the management and how to make change sustainable. In this candid and personal account, Nayar will recount how he defied the conventional wisdom that companies must put customers first. He believes that since employees are the closest interface with the customer, they are the new value zone for companies: the place where value is truly created for customers and therefore organizational accountability should lie first with the employees, and not the other way around. Creating a sense of urgency by enabling employees to see the truth of the company’s current state as well as feel the “romance” of its possible future. Creating a culture of trust by pushing the envelope of transparency in communication and information sharing. Inverting the organizational hierarchy by making the management and the enabling functions accountable to the employees. Unlocking the potential of the employees by fostering an entrepreneurial mindset, decentralizing decision-making and transferring the ownership of ‘change’ to the employees. A perfect storm is brewing all over again. The economic growth is slowing down; policy paralysis aided by leadership inaction on bold reforms holds little hope for the future. Employees are increasingly feeling overwhelmed with disappointment and helplessness, and the business outlook is turning pessimistic. So is this crisis a threat or an opportunity? How do you inspire and lead in such turbulent times? Nayar believes that turbulent times need “managers” to transform themselves into “inspirational leaders.” Those who inspire are trusted, respected and deliver results others will find difficult to even think as possible. Inspirational leaders are unconventional, bold, fearless, honest, passionate, caring and most importantly, they know their teams will climb the Everest if that is what is needed today. So how does one learn to be such an “inspirational leader”? 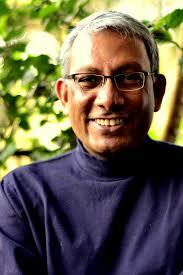 In this session, Nayar will share one possible systematic approach of reaching this goal. The focus would be on practical ideas and ground lessons that are very relevant for managers and leaders aspiring to lead in turbulent times. Nayar believes that it is a myth that all who graduate from good B schools or make it to so-called “big” companies, or high-brow teams, will become successful. His analysis has revealed that only 1% of aspirants get to become a CEO of a meaningful company or a startup, 9% almost get there and stop one stage before the final peak and 90% do not get anywhere close to their aspirations and ambitions. It is also a myth, he says, and that those who work hard make it big as 99% of people work very hard. In this session, Nayar will address the crucial ensuing question—why do 90% of us fail to meet our aspirations and why only 1% of us are able to create magic? LEADERSHIP IS THE RIGHT YOU EARN AND NOT AN ENTITLEMENT. HOW TO EARN THAT ENTITLEMENT? Nayar believes that leadership is not an entitlement but a right one earns through one’s actions every year, every day and in fact, every minute. Beginning with the assumption that every person has a leader within who is just waiting to be discovered, Nayar will help attendees discover that magical leader within them by outlining nine non-negotiable fundamentals of leadership. The session will cover practical insights from real-life work situations and enable managers and professionals to draw energy, inspiration and the right to lead from those they lead. A perfect storm is brewing all over again. The economic growth is slowing down; Rupee devaluation, policy paralysis aided by leadership inaction on bold reforms, holds little hope for the future. Employees are increasingly feeling overwhelmed with disappointment, helplessness and the business outlook is turning pessimistic. So is this crisis a threat or an opportunity? How do you inspire and lead in such turbulent times? At the peak of 2008 meltdown lead by Lehman Brother collapse, one man saw an opportunity to grow in the crisis. 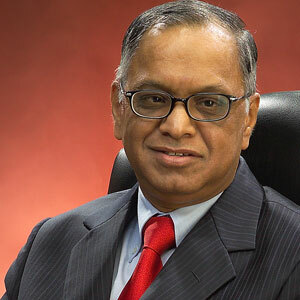 He questioned conventional management thinking, redefined how to inspire and lead in turbulent times through a radical idea called “Employees First, Customer Second”. This set the stage for the transformation of HCL Technologies that saw revenues, profits and market cap grow over six folds in 8 years lead by the efforts of 90,000 passionate employees. No wonder Management Guru Tom Peters went as far as to say “...I am on the verge of declaring that Mr. Nayar could be the next Peter Ducker”. Garry Hamel applauded him for his ideas and included this as a case study in his new book “What matters now”. Fortune recognized his ideas as “The world’s most modern Management”. Vineet was also chosen by Fortune Magazine for its first ever, global “Executive Dream Team”, described as an “all-star leadership” that “could coalesce and dominate in any industry”. This is in addition to his being the highest placed Practitioner Thinker in the elite “Thinkers 50 List‟ which is a definitive list of the world’s top 50 business thinkers. Turbulent times need “managers” to transform themselves into “Inspirational Leaders”. Those who inspire are trusted, respected and deliver results others will find difficult to even think as possible. Inspirational leaders are unconventional, bold, fearless, honest, passionate, caring and most importantly they know their teams will climb the Everest if that is what is needed today. In this Fire Side Chat you would hear of one possible systematic approach of reaching this goal. This would be led by an inspirational leader and a practioner himself who has lived through this journey. The focus would be on practical ideas and on ground lessons that are very relevant for managers and leaders aspiring to lead in turbulent times. Known worldwide for his unconventional ideas, Board level workshops, mind changing training programs and inspirational leadership, for the first time Vineet is stepping out to help managers and Leaders in India with a strong desire of becoming an inspired leader, by showing them how.